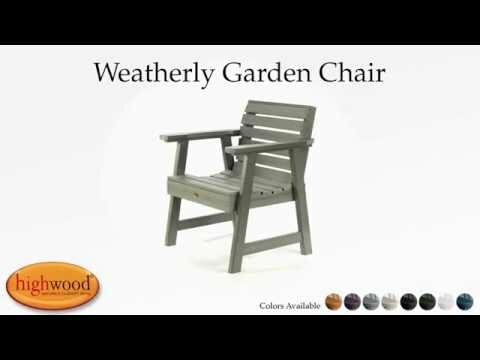 The Weatherly Garden Chair is part of the Weatherly Collection and is a beautiful and functional chair that is extremely comfortable. The relaxed lines of the Weatherly Collection make this an extremely versatile chair that can be used in so many different setting and applications. This product has been load tested, per ASTM 1561-03 (2008) standard for Outdoor plastic furniture, and has a 500-pound weight capacity. Some assembly is required (see assembly guide). Lovely, sturdy chairs. Assembly was a breeze. Also comfortable and weather resistant so we are delighted with the purchase. Quick delivery.